Douglas Clare Fischer (October 22, 1928 – January 26, 2012) was an American keyboardist, composer, arranger, and bandleader. After graduating from Michigan State University (from whom, five decades later, he would receive an honorary doctorate), he became the pianist and arranger for the vocal group the Hi-Lo's in the late 1950s. Fischer went on to work with Donald Byrd and Dizzy Gillespie, and became known for his Latin and bossa nova recordings in the 1960s. 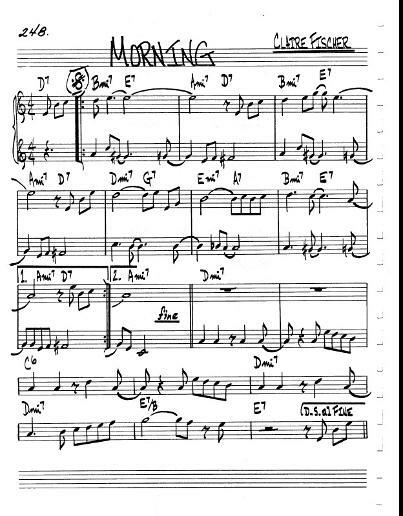 He composed the Latin jazz standard "Morning", and the jazz standard "Pensativa".